Tracing Worksheets for Cursive Letters. 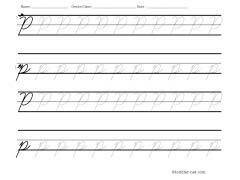 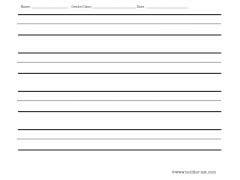 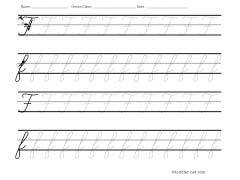 This set of tracing worksheets could be used as a first step in learning cursive writing. Each worksheet contains two rows of traceable capital and small letters. 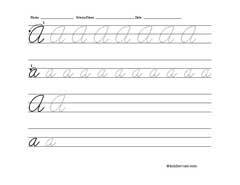 Small arrows around first upper- and lower-case letter on each worksheet indicate direction of hand movement for writing that letter. Most (but not all) letters should be traced in one continuous motion.